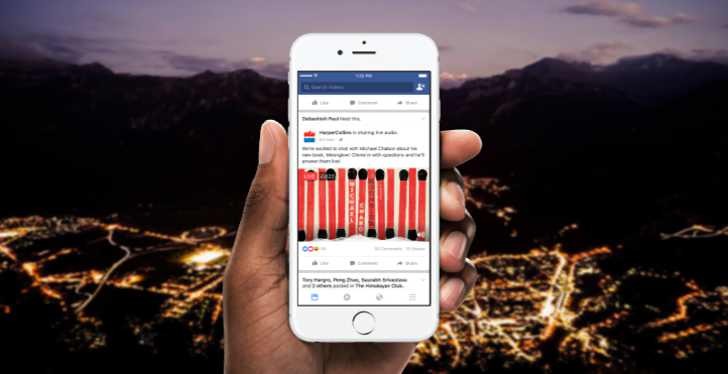 Facebook Live Audio feature announced for voice-only broadcasts. Recently, the company also announced Live 360 – a Live Video publishing tool. Now users will be able to broadcast their voices to any subscriber who may be tuning in. Just like with Live Video, users will be able to stream their audio straight to their followers’ News Feed and receive live feedback (such as Q&A). This has a wide variety of uses for publishers, podcasters, and authors. Live Audio also presents an easy way to broadcast in low or poor signal areas, widening the potential applications. Also, Android users will be able to continue listening while in other apps or with a locked screen. Those on iOS can continue to hear the broadcasts while exploring about in the Facebook app. Finally, Facebook will be testing this new feature with partners like BBC World Service, LBC, and Harper Collins. The wide roll out will be sometime early next year.